L'Oréal has continued to encourage women to become empowered and inspired to make a difference in the country. This is manifested by their recent For Women in Science Program. Metro Manila, 2018 - 2018 marked a milestone for the field of science in the Philippines as it saw the return of L’Oréal’s For Women In Science (FWIS), a global program in partnership with United Nations Educational, Scientific and Cultural Organization (UNESCO). Established in 1998, FWIS aims to support and recognize women researchers who have dedicated their work in finding solutions to the some of the world’s most pressing challenges, as well as encourage young women to take the first step in changing the world through their exceptional ability in the field of science and technology. 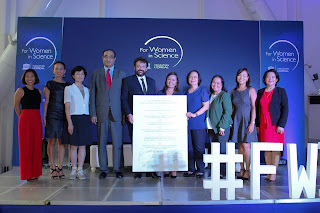 Beginning this November, L’Oréal Philippines and UNESCO once again opens FWIS nominations to Filipino women researchers and scientists who are PhD holders until end March 2019. A grant of PHP 400,000.00 will be given to the National Fellow to be awarded on June 2019. To join, interested parties may visit www.forwomeninscience.com. 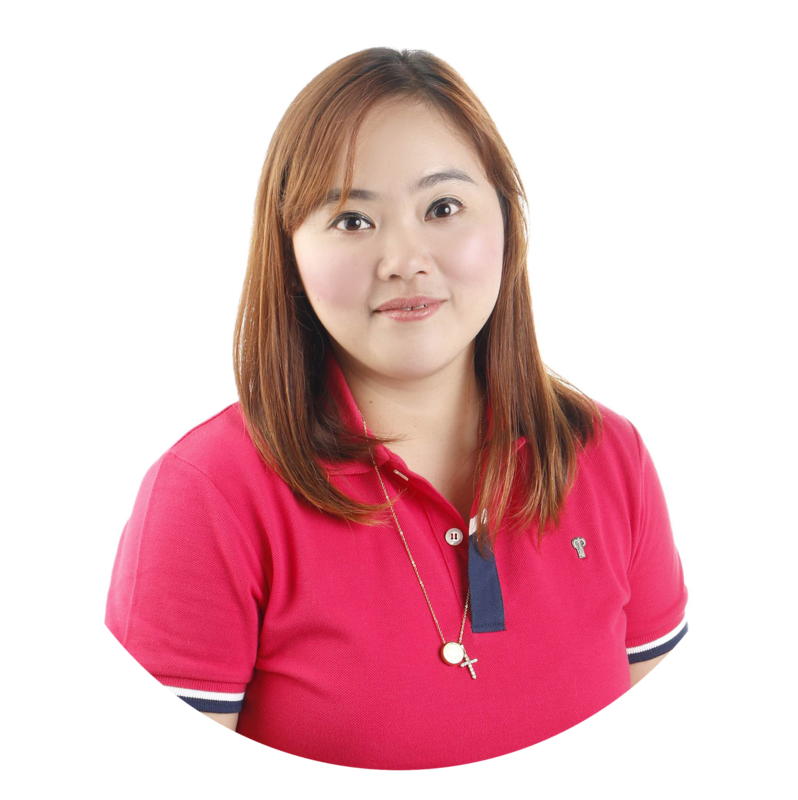 Carmel Valencia, L’Oréal Philippines’ Corporate Communications Manager shares, “Our commitment to science, and our belief in recognizing women scientists and their outstanding achievements are manifested in our For Women In Science initiative. We want to ensure that research in every field takes full advantage of the intelligence, creativity, and passion of women. Our fundamental belief is that the world needs science and science needs women, because women in science have the power to change the world. 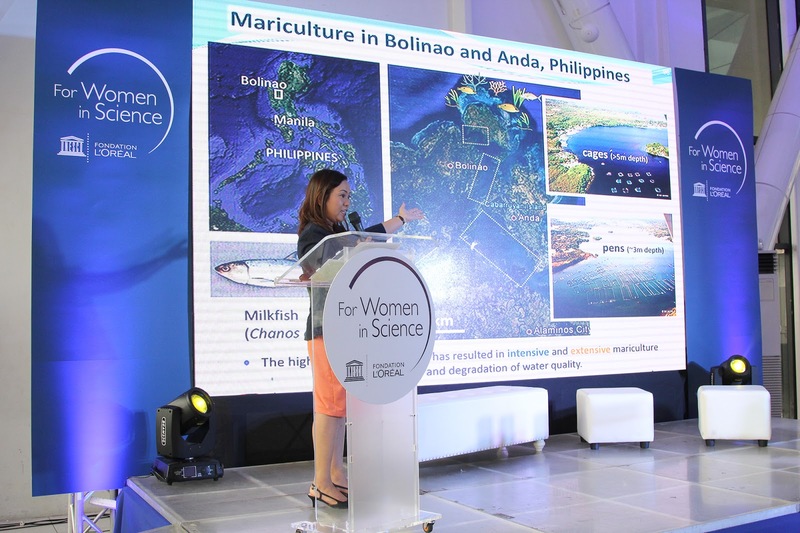 L’Oréal Philippines celebrated the return of the program in the country last June 5 through the awarding of the newest FWIS National Fellow for the Philippines– chemical oceanographer Dr. Charissa Ferrera. Her work focuses on educating and advocating for water quality improvement and more sustainable practices in the waters of Anda and Bolinao. Five months after winning the program, Ferrera continues to work alongside science communicators, social scientists, and local government units to improve the fisherfolks’ environment and their livelihood. “The program provided me with a truly great opportunity to take my research, apply it in communities where it will be most useful in, and create social impact – something that I have always strived to do as a scientist. It was also a chance to raise awareness and inspire more individuals to pursue careers in science,” shares Ferrera on winning the National Fellowship in 2018. L’Oréal Philippines and UNESCO both believe that continuing the conversation and shedding light on the different factors that deter careers in the field is essential to truly move the needle towards closing the gender gap in the sciences. “In 2018, we embarked on this journey with L’Oréal Philippines to provide Filipino women researchers and scientists a platform to overcome the challenges they face in the field. In 2019, we want to continue the journey and include more stakeholders in the conversation to be able to inspire development and purposive action towards enabling women to be leaders in science,” said Prof. Shahbaz Khan, Director and Representative of UNESCO Jakarta Office and Cluster Office for the Philippines, Brunei Darussalam, Indonesia, Malaysia and Timor Leste. For more information on the program, e-mail fwisphilippines@loreal.com. Founded in 1998, the L’Oréal-UNESCO For Women in Science partnership was created to recognize and promote women in science. Its programs reward established women scientists whose outstanding achievements have contributed to the advancement of scientific knowledge and provide support to promising young women who are already making significant contributions in their scientific disciplines. L’Oréal Philippines has been present in the country as a wholly owned subsidiary of L’Oréal since 1994. Based on the unique and diverse beauty needs of every Filipino, L’Oreal Philippines manages a portfolio of the most technologically advanced brands across several beauty categories and present across all beauty channels, including L’Oréal Paris, Maybelline New York, Garnier, Kiehl’s, Ralph Lauren, Giorgio Armani, YSL, L’Oréal Professionnel, Kérastase, and Matrix. As one of the big beauty players in the country, L’Oréal Philippines has also made its contributions as a good corporate citizen to the country over its 25 years of presence. It is our priority and commitment to reduce the impact of our activity on the planet and bolster positive socio-economic impact on the lives of people and communities in the Philippines. This has been done through our various philanthropic activities such as “Beauty For a Better Life,” and “Citizen Day”. “This news release does not constitute an offer to sell, or a solicitation of an offer to buy L'Oréal shares. If you wish to obtain more comprehensive information about L'Oréal, please refer to the public documents registered in France with the Autorité des Marchés Financiers, also available in English on our Internet site www.loreal-finance.com. This news release may contain some forward-looking statements. Although the Company considers that these statements are based on reasonable hypotheses at the date of publication of this release, they are by their nature subject to risks and uncertainties which could cause actual results to differ materially from those indicated or projected in these statements."